Eighteen years after making his directorial debut with The Winter Guest, Alan Rickman returns behind the camera to direct A Little Chaos, a featherlight period drama. 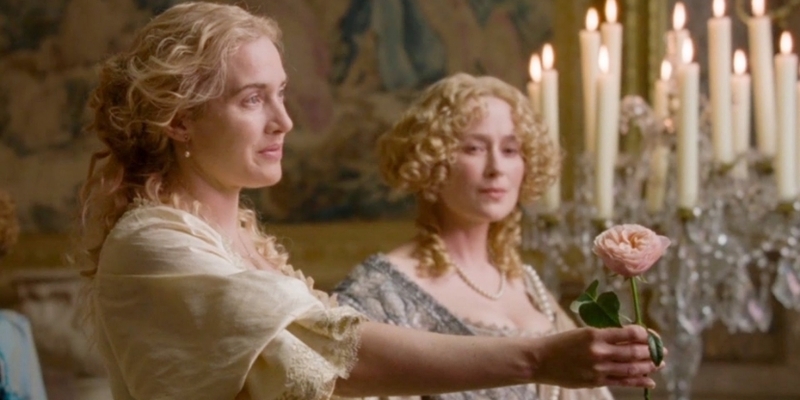 Madam Sabine De Barra (Kate Winslet) is awarded the sought-after task of landscaping the land at Versailles – a prime position that brings her into contact with King Louis XIV (Rickman) and André Le Notre (Matthias Schoenarts), whom she develops a relationship with. More of a crowd-pleasing diversion than anything of particular depth, A Little Chaos is nonetheless delectable and elegantly made. Rickman acquits himself well behind the camera, supported by lush cinematography and costume design. Winslet awards the film an emotional weight with her performance as Sabine, whose traumatic past is never far away, while Stanley Tucci is wonderfully camp in his small but entertaining role. A Little Chaos, though alluring, never develops further than its predominately surface-level period charms, which shortchanges it slightly.